This Post has already been read 862 times. Huawei a global technology giant has been marking its name in different arena by sponsoring and taking an active role in different events. The development has been optimistically gigantic that it has truly served the needs of customers and demand of ever advancing era of technology. Only in the year of 2015, Huawei has grown with a massive ratio of 44%, and further the technology giant has chosen its goals higher than any other technology manufacturer in the market. Huawei has turned into a master entertainer alongside being a leading global technology brand. Huawei has sponsored a number of shows, games and campaigns and even it has added new flavors to these. For example Moin Khan’s campaign “My Huawei My Pakistan” was made even better with Huawei Mate S, Huawei again came up with a new style in PFDC’s fashion week. 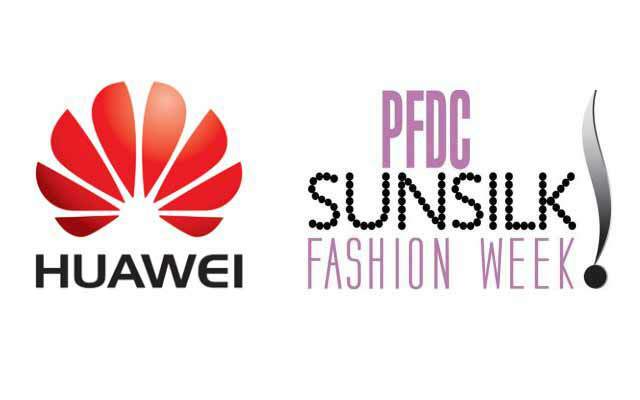 Huawei has sponsored the show, PFDC Sunsilk Fashion Week 2016. In the fashion world where style and glamor are the distinct attributes, Huawei offers its elegant and exquisite products to complement the style statement and to shine the glamor confidently. The show will be covering 4 days activity where a number of fashion icons, Brands, renowned models and media persons will appear. Among the big names of the show to rule the four day show are, Sana Safinaz, Maria B, Muse, Feeha Jamshed and Sublime By Sara, on the first day. However, on the second day of the show Nomi Ansari, Sana Maskatiya, Mughal, Nickie Nina, Karma Pink and Ali Xeeshan Theater Studio will present their designs. Khaadi Khas, The House of Kamiar Rokni, Zonia Anwar, Saira Shakira, Zara Shahjahan and HSY are scheduled for the third day with their outstanding designs and collections. On the fourth and the final day of the Fashion Show following will be the designers to show their work; Deepak Perwani, Al-Karam, Khas, Warda Prints, Ittehad Textile mills, Harmony by Hang Ten and Gul Ahmad. Moreover, Huawei is offering numerous advantages in condideration with this event. On twitter, any one who tweets a thousand times using the hastag #HuaweiPSFW will win a 5x. Huawei is also offering another source of entertainment regarding the PFDC by allowing people to act as an Huawei Insider at the PFDC by sharing candid pictures along with the same hashtag on Instagram – gifts will be received for it.